This may sound incredibly strange, but bare with me here. Do you love when cats lick you? Or maybe you hate it? Whatever the case, I’m sure you’ve noticed that cat tongues are weird. Many people think they resemble sandpaper. Well, this isn’t some random coincidence. Cats are a super cool species, and evolution has built them to, well, be kings of the jungle. The cat tongue is just one small reminder of their wild roots. 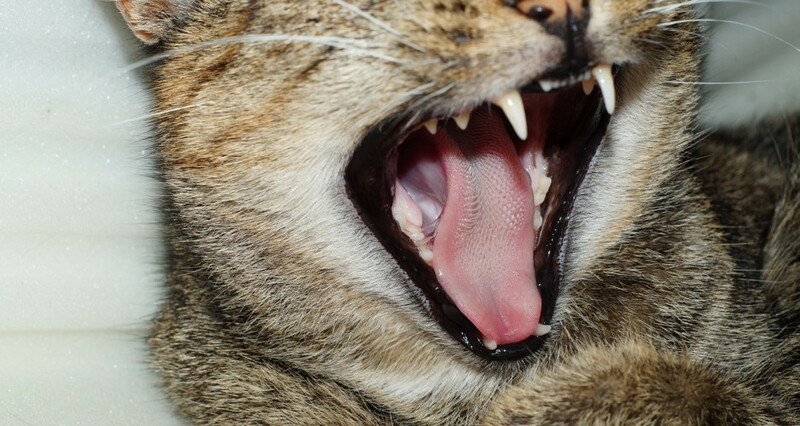 So why did Mother Nature put so much thought into your cat’s tongue? When cats are on the prowl for food, the papillae on their tongues actually help them hold struggling prey in their mouths. Their fancy tongues also allow cats to scrape flesh from the bones of their prey. You think this is gross, right? Well, if you didn’t have hands to assist you with stuffing your face, you’d appreciate a few barbs on your tongue, now wouldn’t you? Cats also have fungi-form, or mushroom-shaped papillae, on the sides and tip of their tongues as well as vallate papillae on the back of their tongues, which hold taste buds. Cats sense both taste and texture with their super tongues. Although your cat may come running when you rattle his treats bag, cats actually have relatively few taste buds, so they primarily rely on smell, temperature, and texture of food when deciding whether or not to chow down. The barbs on a cat’s tongue also serve as a built-in comb (cool, right? ), which they use to groom themselves after they’ve eaten prey to remove all traces of it. This isn’t a beauty hack. This is actually a very important survival tactic. Cats instinctually groom themselves post-meal in order to avoid potentially tipping off other prey (a.k.a. future meals) that may be hanging out in the area. It’s the Circle of Life, Lion King style, so cats are also commonly some other creature’s prey. By removing all traces of a fresh kill with their rad tongues, cats also avoid potentially notifying a predator of their presence. How do cats wash down that bloody field mouse, you ask? You guessed it, its all about that tongue. It’s really quite the process for cats to get a little sippy sip. According to research conducted by a group from the Massachusetts Institute of Technology, Virginia Polytechnic Institute, and Princeton, cats first have to curl the upper sides of their tongue downward and then dart it across the surface of water to develop a water column. Then, cats have to quickly close their mouths just in time to collect the water column before it falls back down. Damn, aren’t you parched just thinking about it? Cats’ tongues help them chill out literally and figuratively. Cats use their tongues to literally chill out by grooming themselves to keep cool through evaporation. Cats also groom as a displacement behavior, helping them to chill out if they feel stressed or anxious. Cats also typically use their tongues for some cat-on-cat action. I know what you’re thinking sicko, we’re talking about social grooming here. You may notice two cats licking each other or head rubbing if you’ve ever been in a multi-cat environment—something that is referred to as allogrooming. We’ll take a deeper dive into this complex topic during a later post, but allogrooming is thought to serve a few different social functions, such tension reduction, social bonding, and social status expression. So, hopefully after reading this you have a better appreciation for your cat and his very fancy tongue. This entry was posted in facts, home. Bookmark the permalink. ← Why Do Cats Crush On Cat Haters? Why Do Cats Crush On Cat Haters?